In June 2014 I travelled to Livingstone, Zambia to spend two weeks working on a lion conservation project. The project is run by Lion Encounter, part of the African Lion and Environmental Research Trust (ALERT) founded in 2005. In 2012, Africa’s lion population was estimated at 32,000 compared to the 200,000 estimate 40 years previous. This dramatic decrease is largely due to habitat destruction, hunting, human conflict and disease. Lion Encounter aims to create prides of lions able to be reintroduced to the wild, together with supporting and educating local communities to prevent future conflict. Growing up hooked on the Lion King and loving animals, this was a project I couldn’t wait to get involved with. The Eleanor Peel Trust kindly awarded me £240 towards my volunteering project costs. This money was primarily used to fund my yellow fever and rabies vaccinations. After paying these, I had a little money left which went towards my flights. The first thing which struck me when I arrived in Zambia was how incredibly hospitable and friendly the locals were. 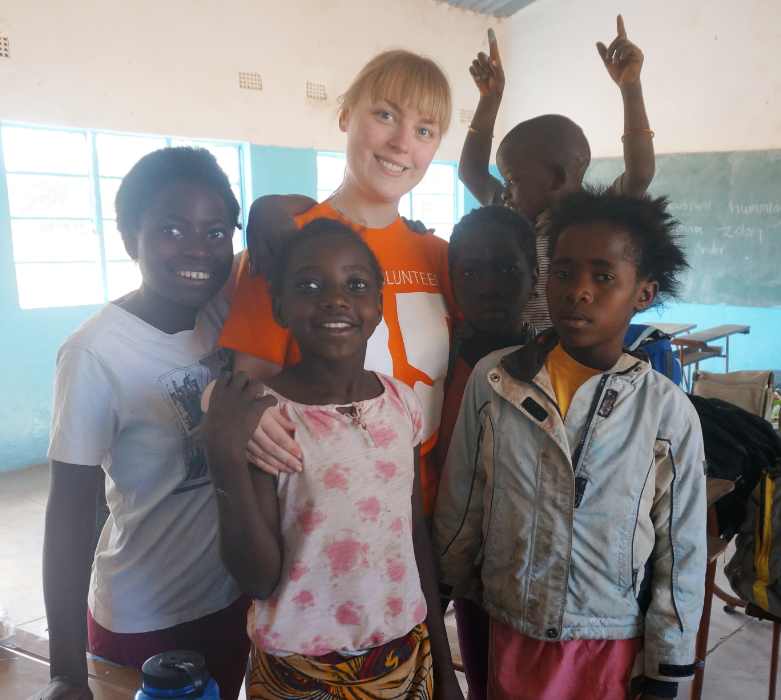 I was greeted with the most infectious smiles and big hugs everywhere I went, especially from the children who were amazed by my blonde hair!Shortly after my arrival in Livingstone I was given a tour of the town. I had no idea what to expect, but was pleasantly surprised. There was everything you needed to live comfortably including a shopping complex. However, you didn’t have to travel far to come across the villages with dirt roads, mud huts and no electricity. Regardless, the locals were still beaming from ear to ear! The volunteers base was outside Livingstone in the Mosi-O-Tunya national park. Between 6pm and 6am we needed guards to walk us from one building another for protection. One evening I walked out of my room and saw a giraffe standing 20 meters away, another night I was woke up by buffalo right outside my door! The base was simple but comfortable, although the freezing showers took a while to get used to. Wednesdays at the base was known as ‘Nshima day’. Nshima is a staple food in Zambia made from maize flour and water and is eaten with stew (and dried bugs if you fancied them). In the evening all volunteers and staff ate together and shared stories which was amazing. I learnt a lot about the local culture as well as cultures from other volunteers. Particularly well debated points were eating pancakes with maple syrup and bacon and the Cumbrian delicacy of chips, cheese and gravy! The biggest lesson I learnt during my stay in Zambia came from spending a day painting a local school. The kids were given the day off but rather than spend it playing, all they wanted to do was watch us and help paint. While we took a break during lunch, the kids came alive and were roaring with laughter. They took masking tape from door frames and made skipping ropes with it and played balloon football with our rubber gloves! It made me realise that children don’t need a brand new, expensive Xbox or PlayStation to have fun, just a bit of creativity. On the other hand, I was exposed to the harsh reality of a lack of resources too. One boy at the school, Tebae, had nasty looking sores on his skin caused by a mite infestation which was poisoning his blood. His parents had no money to afford medication and the mites had infested their home too. Their only option was to destroy their home and build a new one, which again they could not afford to do. As a result Tebae’s health was left to deteriorate. I found it incredibly hard to comprehend an easily treatable infection could cost a 10 year old his life. It highlighted the importance of increasing community and health projects that African Impact are creating. The project I was on benefitted the local community in many ways. 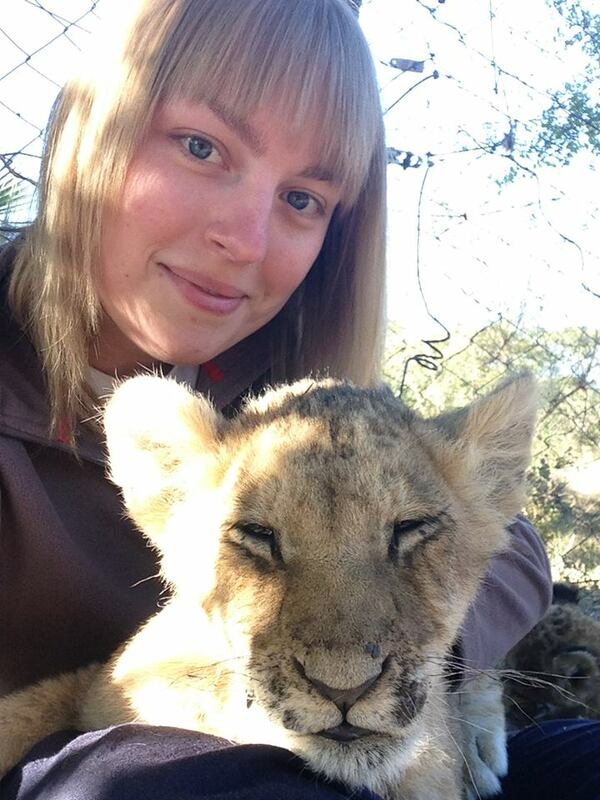 Lion Encounter itself provides at least 50 jobs for locals. It supplies healthcare and teaching interns which is improving access to medicine and education. This in turn is making the locals more employable. Each week as volunteers we were involved with litter picks throughout the national park and made cooking stoves which were donated to the community. 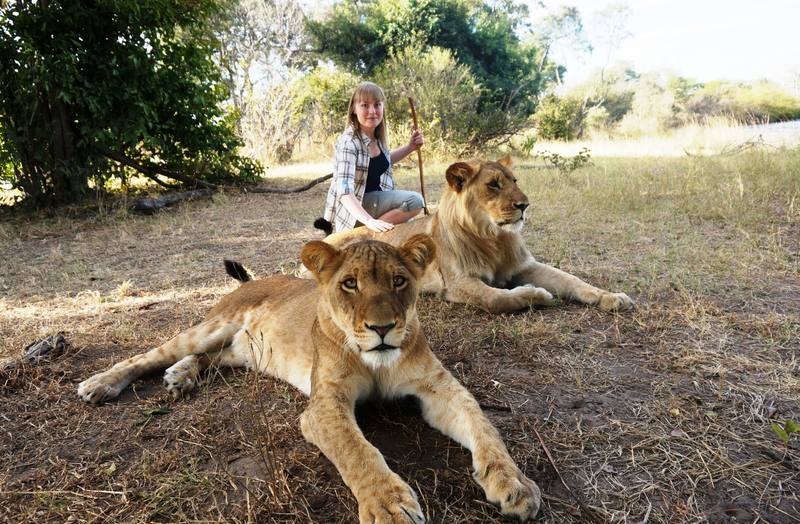 Working with the lions was unbelievable. They constantly test your dominance so it was important to be fully aware during the walks, they’re certainly not tame! It wasn’t all fun and games though. Duties included 5am feeds, pick axing enclosures, chopping down trees and cutting grass with a machete type tool. Usually by 8pm we would all be heading off to bed! Taking myself out of my comfort zone and embracing cold showers, minimal internet connection and meeting new people from different backgrounds was an immensely empowering thing to do. My confidence has grown massively and I am far more outgoing than I was before my trip. It’s hard to believe before travelling to Zambia I’d never ever been on an aeroplane before! I loved every second I spent in Livingstone. 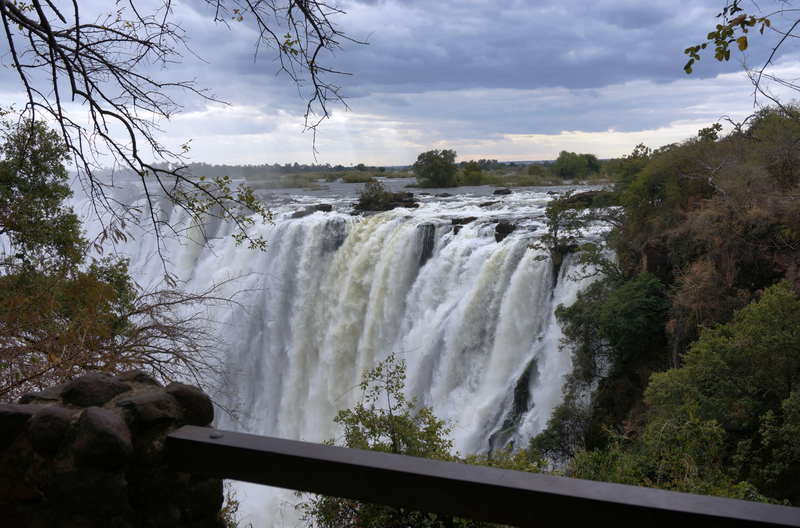 From walking with lions and visiting Victoria Falls to white water rafting in the Zambezi. My only regret? That I didn’t stop longer. My name is Ashlea Cawood, I am studying Primary Education with Inclusion/SEN and in July 2014, I embarked on the adventure of a lifetime. 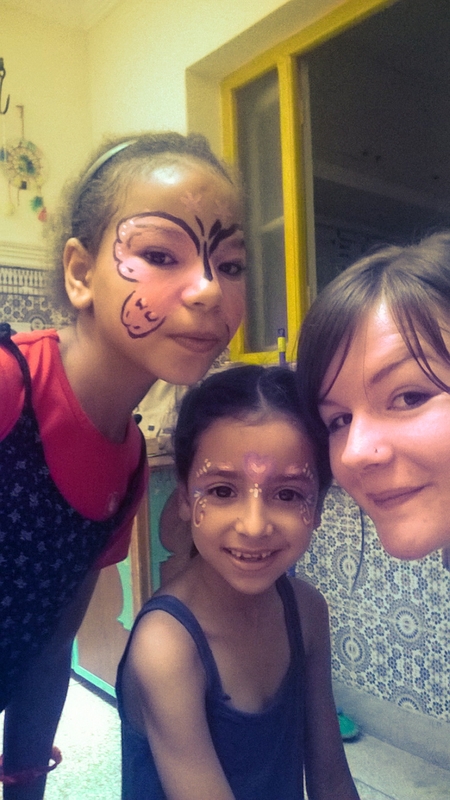 Morocco is a country I have always wanted to travel to, so when I stumbled across the opportunity to volunteer in orphanages and children’s centres across Marrakech, I was more than a little excited! I had never travelled alone, never volunteered abroad before and so this was definitely outside of my comfort zone, but it was just too good an opportunity to pass up on. The only slight hesitation I had was regarding the cost, however, after talking to the student union, I came to learn of the Eleanor Peel Trust and quickly put together an application, which to my delight was accepted and I was able to book my flights. 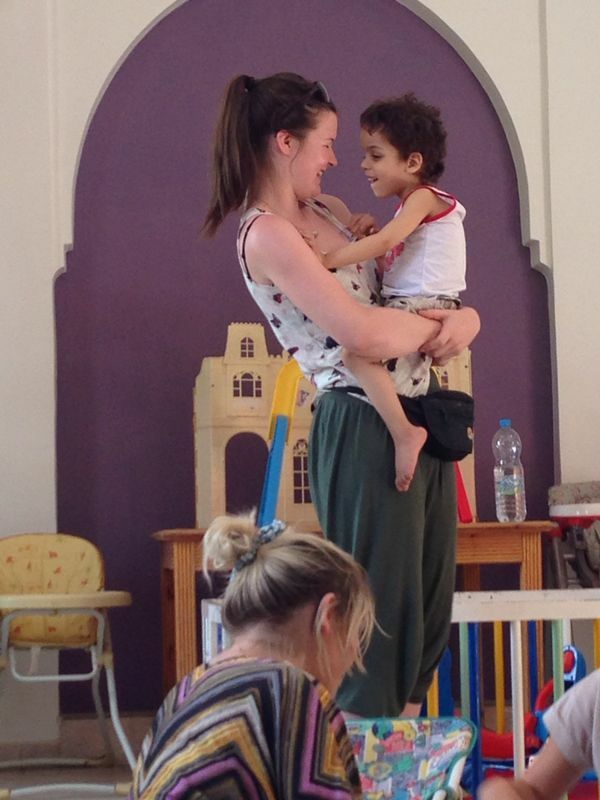 In the month that I spent volunteering in Marrakech I worked across numerous orphanages, children’s centres and schools, working with children who, although not necessarily homeless, were all considered to be living in difficult situations. Whilst working in these orphanages and centres we provided care for the children and organised a range of activities such as crafts, games and sports. These projects were all very dependent upon the resources we provided as resources there were very limited to nonexistent. 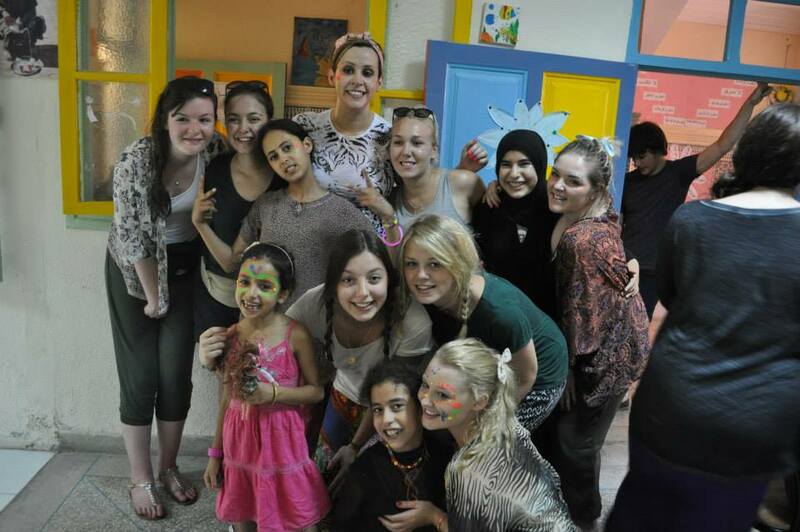 Working with the children in the orphanages was an absolute delight. Upon entering the baby orphanage for the very first time, I was greeted by a mass of toddlers running around playing, however I was instantly drawn to a little boy who was lay on his side by himself in a separated play area. He was probably around 3 years old and appeared to have cerebral palsy. I picked him up and started swinging him around and that was it, I didn’t leave him for the next two hours that I was there. The enjoyment he got from being held, rocked and tickled was unbelievable and I wanted to give him so much more of my time but unfortunately it was soon time to leave. After seeing how much he had enjoyed the freedom of movement, I decided to place him in a walker so he was able to continue to see around him and interact with others. However sadly, as I left a member of staff quickly returned him to where he had previously been, lay on his back and separated from all the other children. This was sad to see as he had been so full of excitement for the two hours I spent with him but at least I had been able to bring him a little bit of happiness, even in the small amount of time I spent with him that day. The older children in the orphanages were quite challenging to work with. They were full of energy and had their own ideas as to what they wanted to do (often quite rough and active games) and due to the language barrier it was quite difficult to communicate with them but we persevered and soon enough we were accepted into their games. In addition to working within the orphanages and children’s centres within Marrakech, we also travelled to remote villages within the mountains where living standards were much more basic and the people here were in much greater need of resources, having just an old brick building with concrete floor and a plastic garden table and chairs to sit at. These villages were full of children and these children were significantly different to those from within Marrakech. These children were much more patient; they wanted to try and communicate with you and to play games that you were organising. You could see just how appreciative both the children and their parents were for both the time and resources you were providing the community and upon leaving they sang us a song as a sign of their appreciation. We also worked closely with a street kids project, where once a week we would meet in a park with a group of boys and their older mentors and just talk and play games with them (with the help of our coordinator who was able to translate). Again, these boys were not necessarily homeless, but were forced to spend most of their time on the street either trying to find ways to earn money to take back home or just to kill some time as they had no one at home to look after them during the day. These boys were just delighted at the opportunity to get together, talk and play games in a big group. 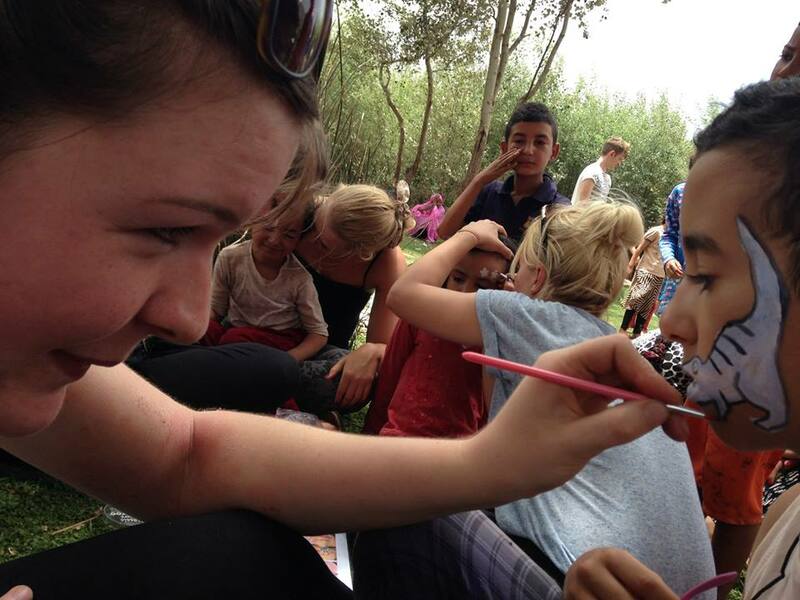 I found it extremely difficult to work on all of these projects, as you get to see firsthand just how little these children have, however to my surprise, the hardest project I worked on whilst out in Marrakech was working with the homeless on a feeding programme. As it was Ramadan, the feeding project was organised a little different to usual. Instead of making food packages to hand out in the streets, we all met at a building where we prepared soups, bread, dates, pastries and drinks on large tables. At half past 7, around one hundred homeless people entered the building and sat down alongside each other, ready to pray and break fast together, including us within their prayer to say thanks for all that we had done for them. Once fast was broken, our job was to walk around the room ensuring any water bottles were re filled. As you reached over to get the bottle you would often get a hand reach out to yours to say thank you. This was by far one of the most emotional moments of my trip, as I realised although lacking toys and pretty clothes, at least the children in the orphanages were well looked after. They were safe and they had food. These people before me however, they had nothing; no home, no food, no safe place to sleep at night. They were just so grateful that we had put our money together to provide them with food and water, the things that we take very much for granted. Following the meal, all the volunteers got together, and with just two big buckets of luke warm water and a few rags proceeded to wash up. This was such a fantastic trip and I have learnt an awful lot from it, both about myself and other people. It has helped me develop my confidence, independence, interpersonal and organisational skills. It has also allowed me to learn about other cultures, religions and languages. Above all, it has allowed me to realise and appreciate just how lucky I am to have had such a wealth of opportunity in my life. So thank you very much Eleanor Peel Trust, without your very generous contribution I would have spent every penny on getting out there and would not have been able to provide the resources they were in such desperate need of!